NLRB Archives - Page 31 of 31 - CUE, Inc. The National Labor Relations Board continues to be a weekly newsmaker when it comes to employers and the workplace. Here are some of the items we noticed this week here at CUE. Harry I. Johnson, until recently a member of the US National Labor Relations Board (NLRB), will join Morgan Lewis on October 1 as a partner. 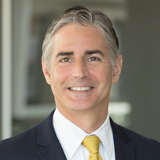 Mr. Johnson adds to the deep bench of talent in the firm’s Labor and Employment Practice, and his presence will further enhance its capabilities to serve employers on labor-management issues. Mr. Johnson is the featured keynote speaker at CUE on Tuesday October 14th at 8 AM when he will present “To the NLRB and Beyond!”. Republicans in the Senate continued their efforts to alter some of the recent NLRB rulings impact on business as Sen. Mike Lee, R-Utah, introduced The Protecting American Jobs Act, S. 2084, would allow the board to conduct investigations, but it would hand the power to hear labor disputes over to federal courts. You can read more about The Protecting American Jobs Act here. Joint Employer Standard To Be Further Expanded? There is lots of speculation by NLRB observers that the Board may soon issue another decision further revising the joint employer standard. The Browning Ferris case made it far easier for a company and a staffing agency be held to be joint employers, but the standard isn’t as clear for temporary employees. The General Counsel for the NLRB has asked that the Board use a pending case, Miller & Anderson to overturn Oakwood Care Center. Such a change would permit temporary and permanent employees to organize in one inside the same workplace. Employers should keep an eye on this developing situation. Hundreds of franchise owners visited Capitol Hill this week as part of an effort to get Congress to reverse these recent NLRB decisions. Absent extraordinary circumstances, within two business days after the issuance of the direction of election, the employer must provide the Regional Director and the parties the list of the full names, work locations, shifts, job classifications, and contact information (including home address, available personal e-mail addresses, and available personal cellular or phone numbers) of all eligible voters …. In the case of Danbury Hospital, No. 01-RC-153086 (Sept. 16, 2015), it appears as if the HR department relied exclusively upon one internal system to gather personal emails and phone numbers for the union. When the union noted the very small percentage of numbers provided, they filed an objection and the Board investigated. The facts showed that there were several other internal systems where such data was recorded and available to the employer, and as a result of this and some other facts, an election rerun was ordered. Demonstrating due diligence in your information gathering for the Excelsior list is going to be a critical part of election preparation for employers. 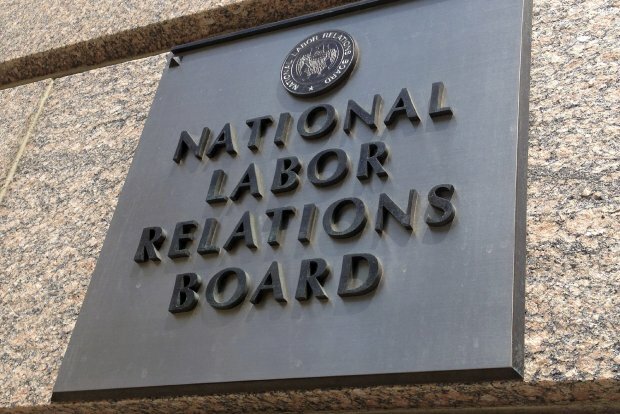 Politico reported that the NLRB once again ruled that independent contractors were employees under federal labor law in a case involving home canvassers in Minnesota. “It’s a big win for the workers and their union, the IWW Sisters’ Camelot Canvass Union“. This case has on-going implications for companies using workers classified as independent contractors, and we will likely see the NLRB expand this concept. Cases are under review against Uber and a number of other employers in this area. With apologies to David Letterman, we are often asked by CUE members and others where the average HR professional can go to keep up with developing trends in labor relations and labor law. 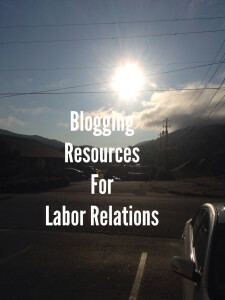 With all the recent changes coming down from the National Labor Relations, I though it might be useful to publish a listing of some of the labor relations resources we follow every week here at CUE. Here is a list of ten resources to watch. The first source everyone should pay attention to is the National Labor Relations Board agency web site. There is an unbelievable amount of information to be found on this site, including search tools and data bases. You can also subscribe to agency newsletters. Labor Relations Today publishes daily legal updates on the NLRB and many other topics. Labor Relations INK from LRI is one of the top labor relations management side websites and a must read every month. Management Memo bills itself as management’s inside guide to labor relations. 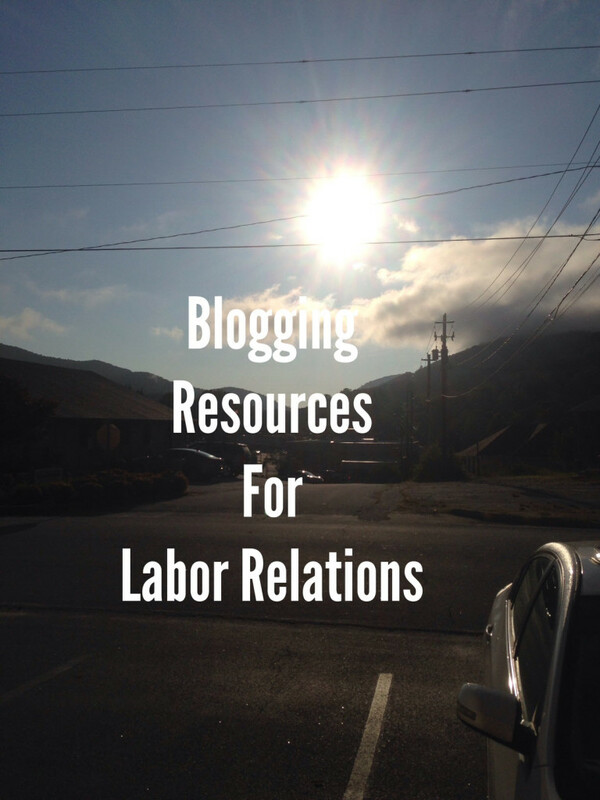 Labor Union Report is one of the most comprehensive labor relations blogs with new content available on a seemingly continuous basis. The Employer Handbook offers savvy but snarky analysis of many labor and employee relations issues. A longtime fave! Protected concerted activity – the Board has raised their level of attention on all kinds of protected, concerted activity but have exerted special focus on non-union employees working in service sector industries. “Quickie elections” – new rules were implemented on April 14th, 2015 and have significantly shortened the election cycle. Joint employer – the Board recently issued the controversial Browning Ferris decision which revised the joint employer status making it more risky for employers. and they are currently reviewing numerous complaints and charges against McDonald’s USA, LLC, McDonald’s USA franchisees, and/or McDonald’s franchisees and their franchisor, McDonald’s USA, LLC as joint employers. Handbooks, Overbroad Confidentiality Policies – it’s illegal to prohibit discussion of wages, many other types of confidential info, and the NLRB is looking for these kinds of violations, which many employers experience due to lack of training on labor matters. Micro-unions – in which a small group of employees inside your business are allowed to form a union without including all employees at a location. Imagine the servers at a restaurant in a union, while the kitchen staff might not be. CUE can help. This is something that is happening right now. You can’t afford to ignore it. Click here for more information or assistance.